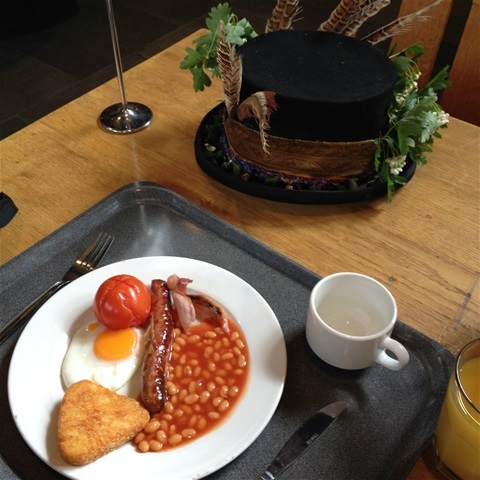 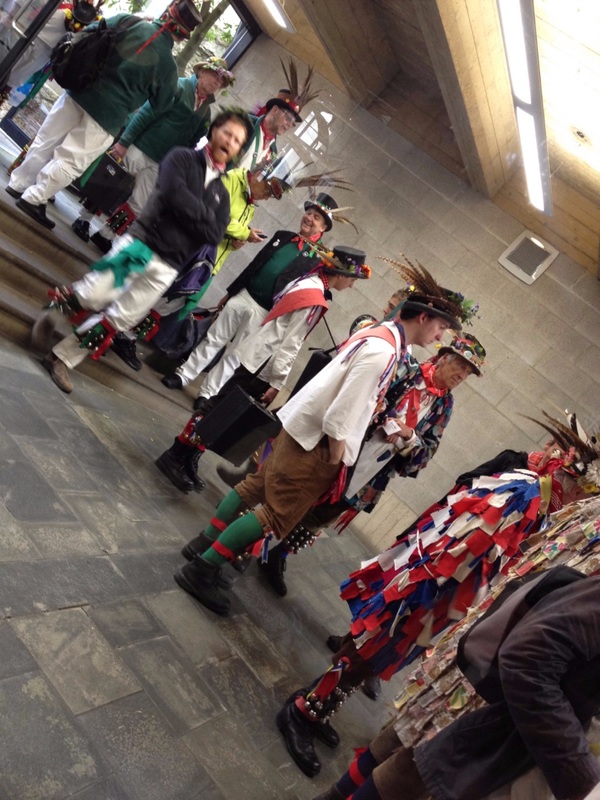 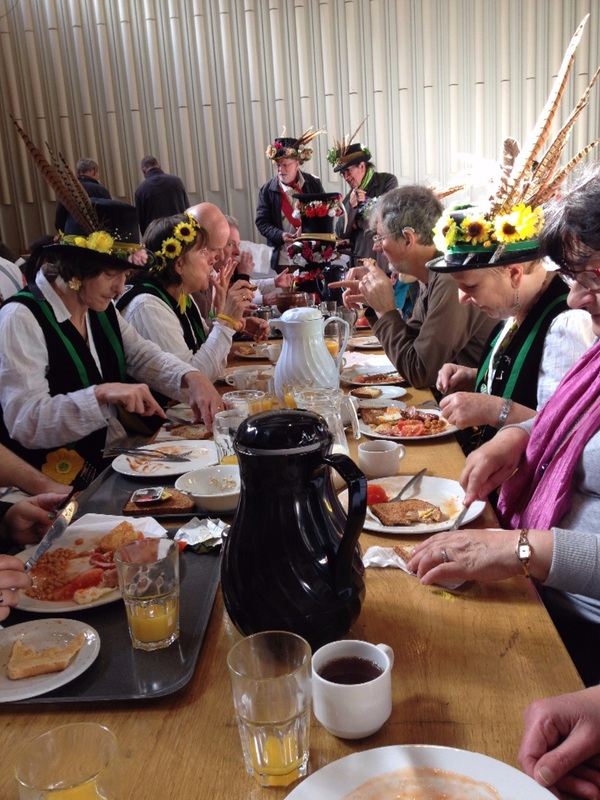 Around 9am on May Morning Oxford, morris dancers repair en masse to have a private breakfast at St Edmund's Hall. 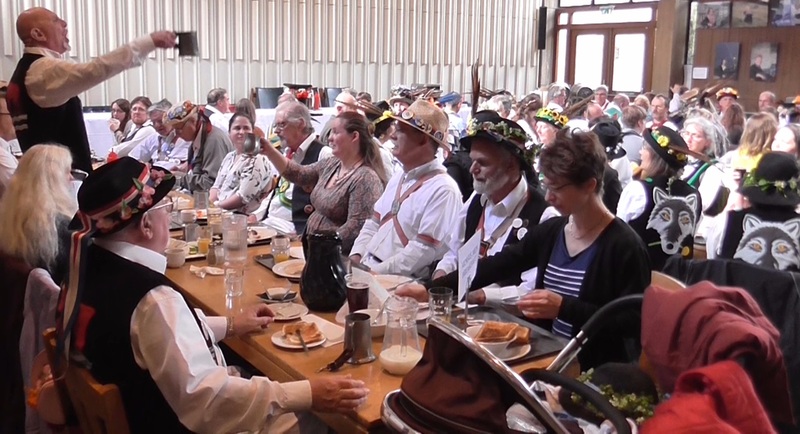 Besides bacon, eggs, sausage and the rest there is ale on tap and a singing of May Carols. The event is for ticket-holders only. 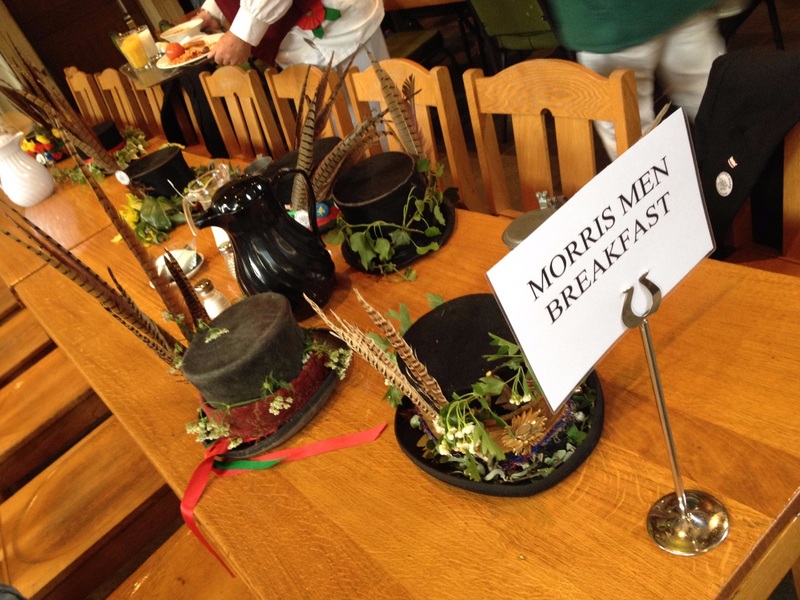 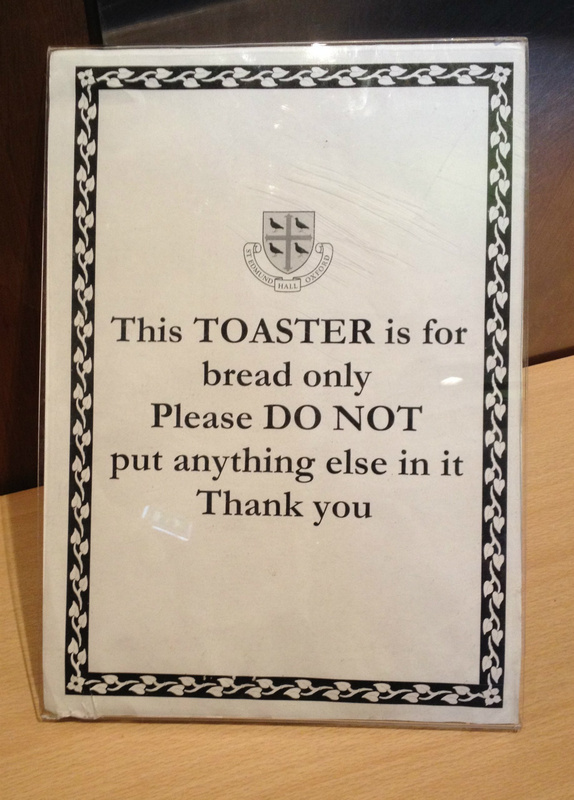 'Teddy Hall' has hosted the Morris Breakfast since the late 1970s, inheriting the tradition from University College where the event was earlier held.